Before we introduce to you the people that work as the building blocks of our company (and soon, yours too), we’ll first introduce ourselves. We, FranFrog, are a Franchise Consulting Agency located in the heart of Military Trail Jupiter FL. Since 2011, our main goal and job has been to help franchisee hopefuls get the perfect franchise suited for them. 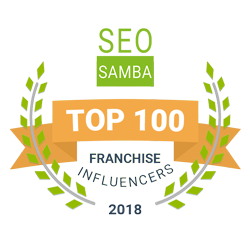 When they finally find the franchise that best suits them, we also provide strict guidance and coaching so that franchisees won’t lose track on their ways. Our franchise coaches are the best there is. Let’s get to know them better, one by one. He has been a successful entrepreneur for 25 years. He is a veteran in startup and development, cost savings and business development. He has handled numerous businesses such as a mobile shredding company, Iron Mountain Corp. and even a senior care franchise where he worked as a CEO until the year 2011. He jumpstarted our company, Franfrog, the Franchise Consulting Agency in Military Trail Jupiter FL on 2011. In 2012, he and his team launched a franchise company that offers a variety of quality home-improvement services for both residential and commercial properties called Done in 1. It also provides franchise opportunity discounts to beloved veterans of America. He is a senior operations professional which is an expert in driving sales and maximizing profit growth. His leadership style embodies transparency, trust, and focusing on doing the right thing for the company. He is passionate about involving the customer in every way possible, thus enhancing the overall customer experience. His specialties include significant experience in Strategy development, Customer experience development and improvement, project management, operations and cost streamlining, people development, and many more. Having an experience in financial marketing for 30 years, he has surely made a name in the business industry as an active trader and executive broker. He has acquired a bachelor’s degree in Psychology from Rutgers University and also prides in holding a FINRA series 7 License. He is results oriented and makes sure to bring the A-game in order to help you succeed in the path of business ownership. He has 9 years of significant experience in operations leadership and process engineering. He graduated from Purdue University with a degree in Industrial Engineering. He has trained numerous factory workers and directors to see their jobs in a better perspective and helped them improved their costs and savings. He is very much eager to help aspirants find their priorities and their dream franchise. Chris is a family man, with a wife an two wonderful children. He loves to spend time with his family, fish, and workout. He brings to Fran-Frog his commitment to customer service with his experiences in owning and operating a fishing guide service for over 10 years, and his technical roles where his success was measured by his stakeholders and customer’s satisfaction. He understands goals and the hard work it takes to hit those goals. While working toward a bachelors degree in Mechanical Engineering, and a Minor in Mathematics, he worked an average of 30 hours a week, all while maintaining a full-time course load. Chris is objective and analytical. He’ll use all the pertinent information to fully understand your needs to help you select the absolute best franchise for your investment level, current situation, and future plans. Providing you with the best experience possible, to make your dreams of becoming an entrepreneur a reality. Chris can be reached at chris@fran-frog.com or via phone at 800-388-2810 x 408. Now that you already know our coaches by heart, let us help you get your dream franchise at FranFrog – your Franchise Consulting Agency in Military Trail Jupiter FL. This entry was posted in Franchise Consulting Agency and tagged Business, Competitors, consultants, Finance, franchise, Franchise Consulting, Franchise Consulting Agency, Franchise Development, Franchising, investment, Marketing, professional consultants, Success. Bookmark the permalink. Il ne te reste plus qu’a commencÃ© la photo sous-marine. Tiens c’est un exemple de type de photos que j’aime et pourtant la complexitÃ© de la chose et le prix du matÃ©riel m’ont dissuadÃ© d’en faire. Photos + PlongÃ©e ca coÃ»te bonbon. En plus, ca Ã plutÃ´t tendance Ã gÃ¢cher la plongÃ©e car on s’occupe plus Ã faire correctement la photo que de profiter du calme et de l&roeus;environnemqnt qui nous entoure. Sou meio avesso a este tipo de pontuaÃ§Ã£o com nÃºmeros muito grandes…Se era para valorizar a vitÃ³ria era sÃ³ diminuir a pontuaÃ§Ã£o do segundo para trÃ¡s. Por menos gente podnAanto…uchei horrivel. Piloto chegando ao fim do campeonato com quatrocentos pontos….Fica parecendo Stock(argh)Car. Skin boil shower area, basically, is a term baths when a sauna creator generates smells which were sprayed you. The main all-in-one enclosures don’t let this particular fumes free yourself from. That helps prevent problems with any walls spruce up , wallpapers. Says a guy with a cartoony icon XD But seriously, man, there is a big difference between cartoons and animated films. You comment shows the same level of mediocrity as these voters. that it was a serious ordeal. Props to a well written article that gives a draitamc recap and gives good advice for others to learn from. Great job! Hope your recovery goes well.